Bliss Bridal is an Oahu-based boutique wedding planning company founded by Sugako Johnson in 2007. Sugako began her career in wedding planning more than 15 years ago by partnering with her friend Naoko Kobayashi in Japan. Together with Naoko, Sugako built her career foundation. In 2007 the website was launched as Bliss Bridal, she parted ways with Naoko a few years later, and started to shift gears more towards western/international/intercultural destination weddings for the couples from around the world, and at the same time started to focus more on event décor. With her exceptional organizing/communication skills combined with her impeccable sense of style and calm demeaner, Sugako successfully custom-planned, coordinated, and styled hundreds of weddings. She has planned intimate elopements to more elaborate celebrations for high profile clients. Her past work has been featured in Style Me Pretty, Pacific Weddings, and many Japanese publications such as 25ans Weddings, MISS Wedding, The Real Wedding Book, JTB Hawaii Weddings and Honeymoon, and more. Sugako grew up in Nagoya, Japan, and graduated from Tsuda University with a B.A. in International and Cultural Studies in 1993. After working in the travel industry for 5 years, she moved to Hawaii in October 1998 to marry her husband, Harry. She speaks English and Japanese fluently. Knowing multiple cultures and languages is her strength to help multi-cultural marriage couples. With a focus on the high level of success of each event from all aspects and customer satisfaction, each wedding she coordinates looks tasteful and unique, is executed smoothly and flawlessly regardless of the number of guests, the style of event and the location. For that, she dedicates herself and spends countless hours for each wedding. 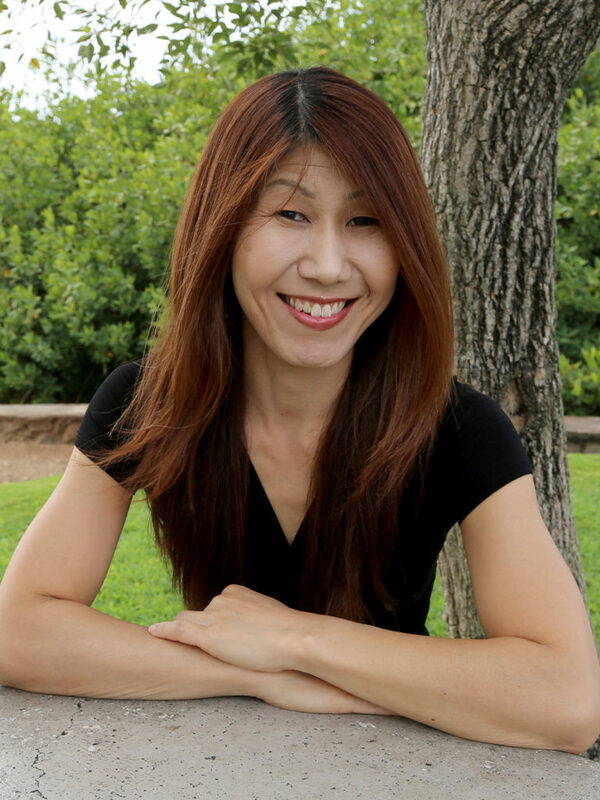 Sugako loves being helpful (her ultimate purpose), having personal connection with each client and creating such happy moments together. Sugako lives with her husband, two teenage daughters, and a dog in Aiea, Hawaii. In her spare time, she enjoys hanging out with her family and exploring this beautiful island.